I really bought this lot for the navy blue sandals. 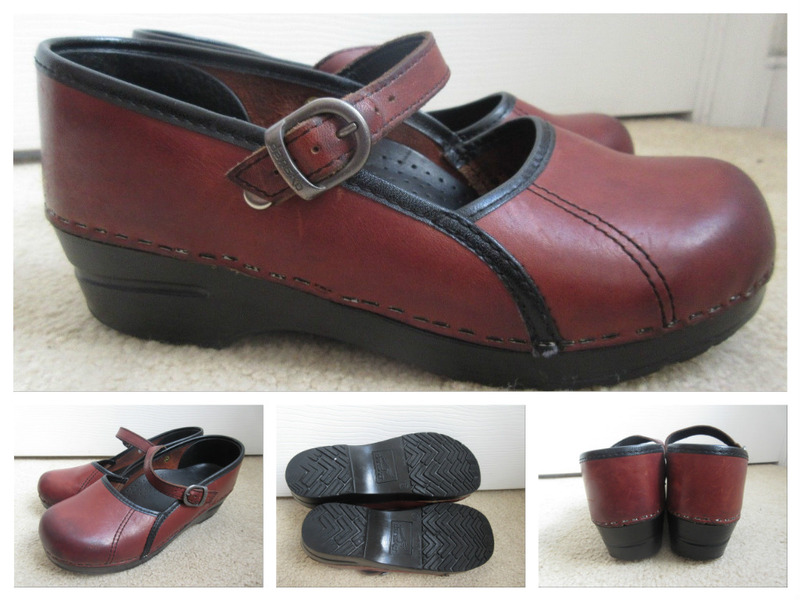 I loved the big block heel and the little stud tacks on the side. 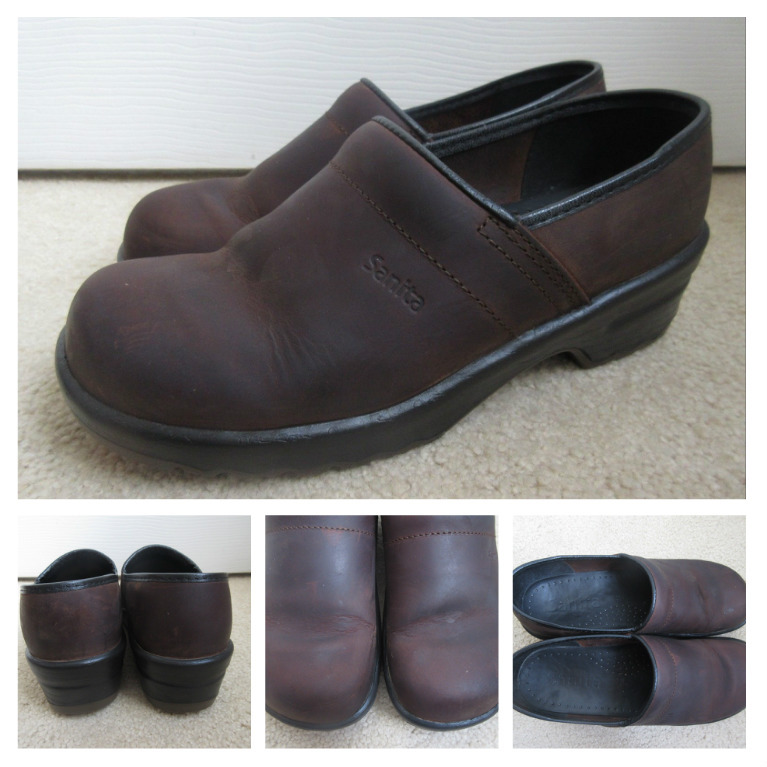 On the resale market, Dansko shoes go for $20-$80 depending on the condition and the style. These sandals are worth at least $30 on the resell market. But being a fashion reseller, I definitely did not want to pay $30. I want my wardrobe to pay for itself. So when I saw this lot, I couldn’t turn it down. It was like buy one, get 2 free! As you can see from my photos, these shoes were in much better condition than the original listing showed. 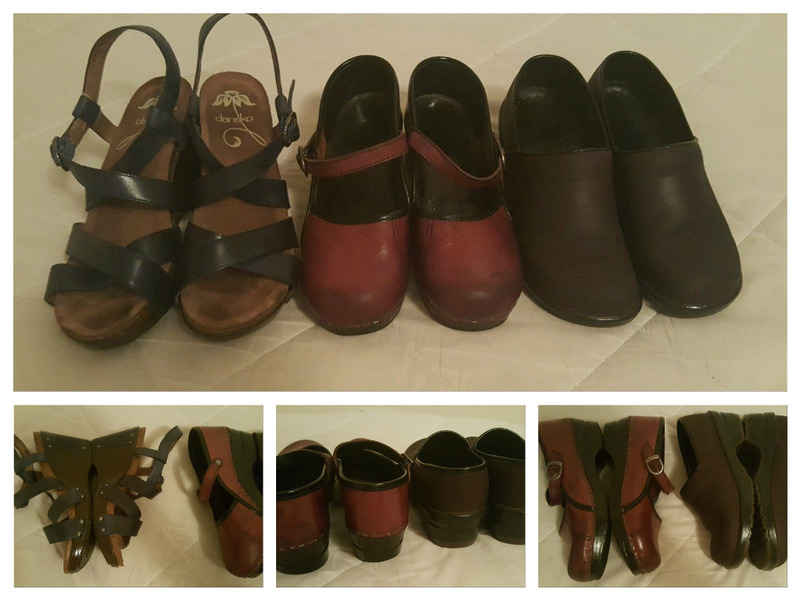 I used natural light and listed the shoes individually. It took a couple weeks to sell both pairs. The buyer of the Marcelle clogs actually picked them up in person to save on shipping costs (an additional $6.99) since she lived in the area. And here’s me wearing the blue Dansko sandals that I actually MADE MONEY by purchasing. I love it when I buy stuff that pays for itself! Do you make your wardrobe pay for itself? Comment below!